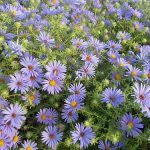 It’s been quite a while since I wrote about the Arkansas blue star, so it’s about time I cover another perennial. 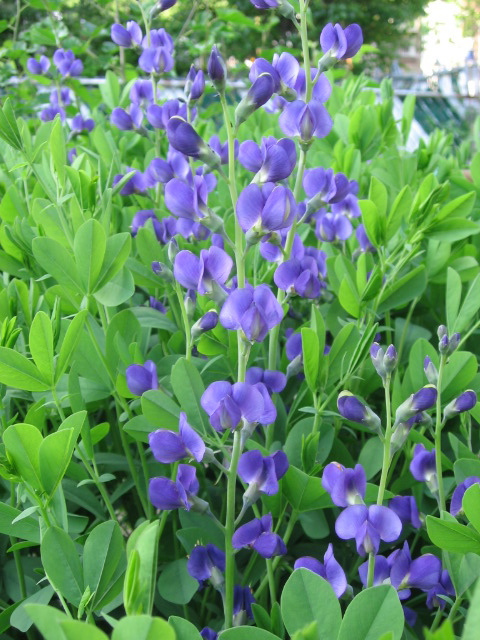 Next up is the 2010 Perennial Plant of the Year™, the blue false indigo. The Blue False Indigo is native to the US from the east coast across the country to Texas. It even extends up into Ontario Canada. 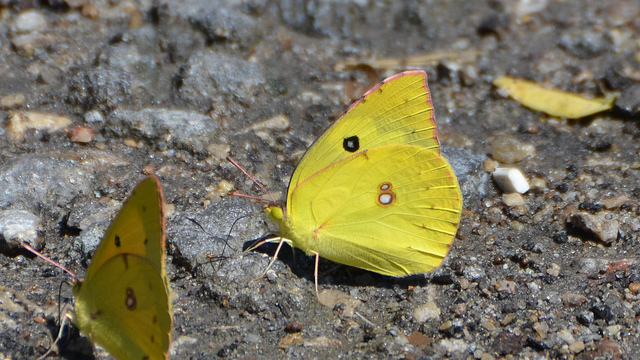 It is however, most common in the south. 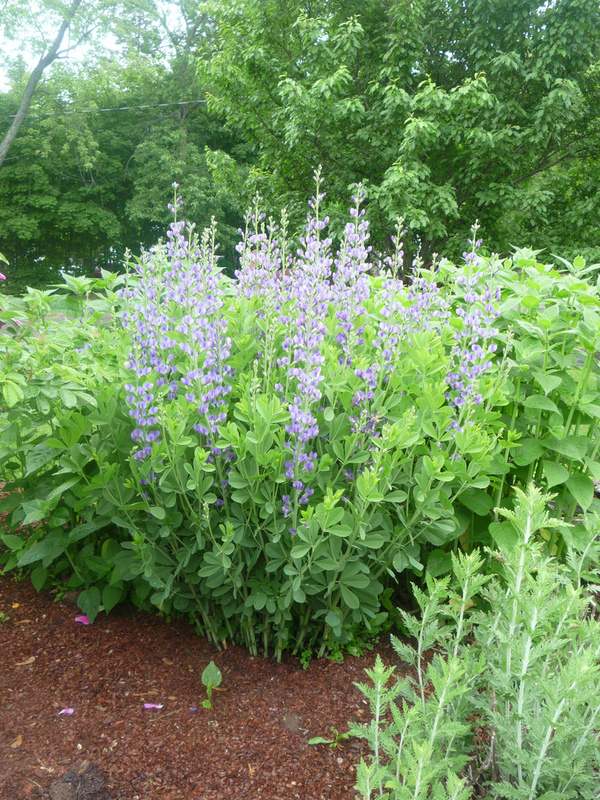 Lupine like flower spikes cover the Baptisia australis for up to three weeks in late spring. Size: 2 to 4 feet tall and 3 to 4 feet wide. 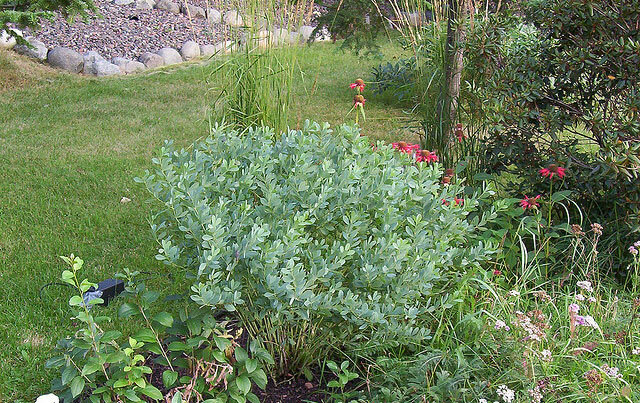 Soil: The Baptisia is easily grown in average, dry to medium, well-drained soil. It also tolerates drought and poor soils. Sounds like an easy plant unless you soil suffers from poor drainage. Light: It grows best in full sun, but also takes part shade. Taller plants may need support when grown in part shade locations. Flowers: This is the highlight of the plant. Purple, lupine-like flowers that cover the dense, blue green foliage. They bloom during the late spring for about 3 weeks, so they are definitely a long bloomer. They also make good cut flowers. The indigo blue colored flowers that give the Baptisia australis it’s common name of Blue false indigo is also used as a cut flower. Fruit: They have attractive seed pods in early summer. Once they dry later in the year, they turn black. The seeds rattle around in the pods and were once popularly used as rattles by children. 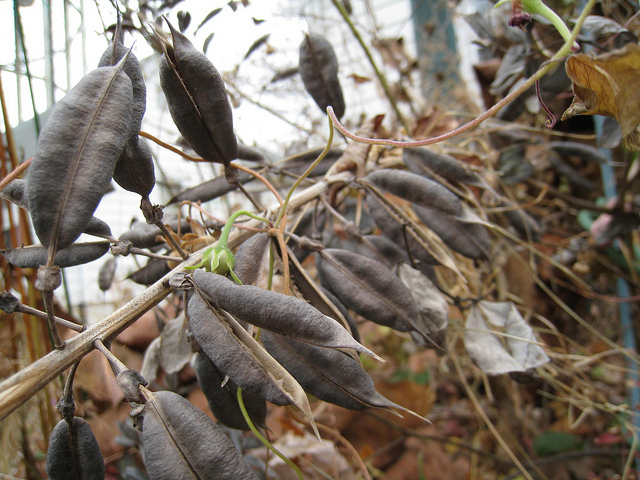 The Baptisia’s dried seed pods have seeds inside that rattle when shaken, like a child’s rattle. 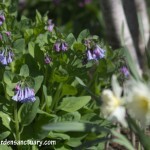 Wildlife Value: Queen bumblebees are important pollinators of the flowers. The foliage of this plant may be consumed by the caterpillars of a few species including Wild Indigo Duskywing, Hoary Edge, and the Southern Dogface. The Southern Dogface butterfly’s caterpillar stage feeds on the leaves of the Baptisia australis, but trust me he won’t even eat enough for you to notice! 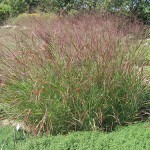 This showy, long-lived, bushy perennial is excellent for massing or at the back of the border. Plants take on more of a shrubby appearance and tend to open up after bloom. Trimming or shearing foliage after bloom helps maintain rounded plant appearance and removes a possible need for staking. Unfortunately, it also eliminates the developing seed pods which are kind of cool and attractive. Verdict: It grows in a big clump and flowers for an extended period. 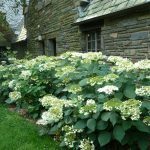 It’s foliage is attractive throughout the season, although you may want to shear it after flowering to keep it neat and tidy and remove the need to stake it. It also fits in nicely in a mixed border. It does not have any serious pests and supports native wildlife. The Blue False Indigo or Baptisia australis looks like a winner if you have a sunny to lightly shaded spot that has dry to average soil. If you have a lot of shade or wet soil, I would pass on this one. It seems to be a great plant for general use. My names not Annabelle! It’s Haas Halo Hydrangea! About the Baptisia, you say it doesn’t have any “serious” pest problems. What about deer? Do they like it? I’m plagued with them. Deer will eat anything if they are hungry enough. That said it is supposed to be one plant deer tend to avoid eating.